Trazza Fine Lebanese Food is a family owned and operated company founded on the tradition of service to others. We are just as passionate about our customers as we are about the food we produce, and we are committed to creating food that is as good for you as it is good to eat! 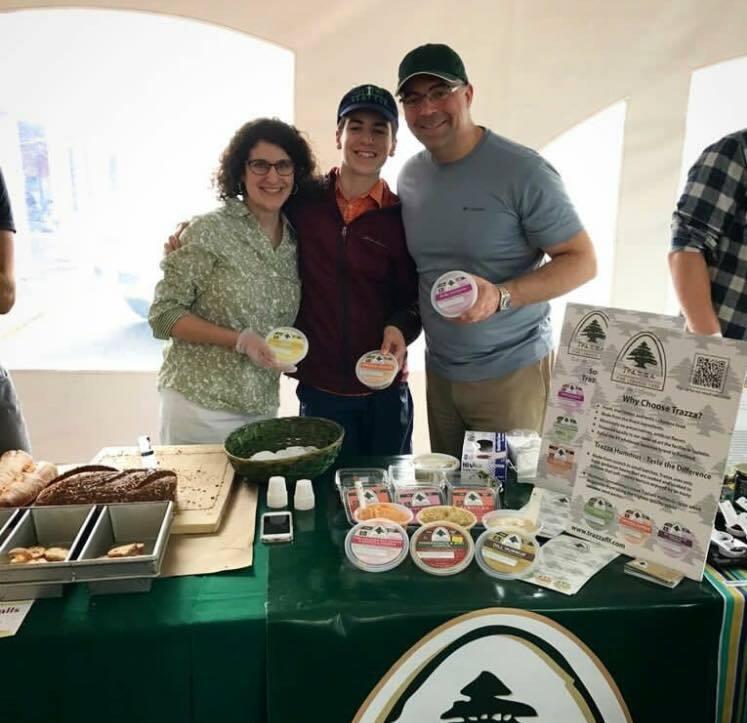 Our Vision has always been to enable shoppers and food enthusiasts to buy fresh, all natural, authentic Lebanese cuisine at their local grocery store, and to supply local universities, hospitals and companies with healthy options for their cafeterias. Our Mission is to delight our customers with unparalleled taste and the highest quality of products, delivered with a sense of warmth, friendliness, individual pride, passion and company spirit. Our Promise is to provide our customers with only healthy, fresh 100% natural ingredients without any added artificial flavors or preservatives, so they can experience the rich flavors of authentic Lebanese food the way it was meant to be tasted.